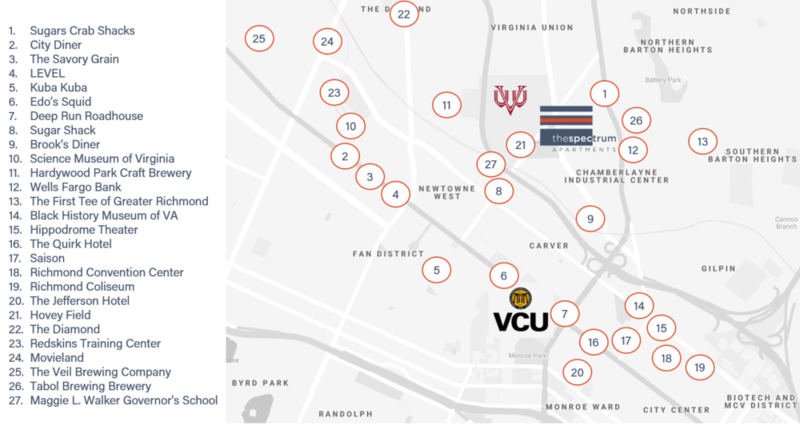 The surrounding area includes dozens of great dining venues , including fine dining, southern cooking, award-wining breweries and local farmer’s markets. Whether it’ kayaking in the James River’s Class 4 rapids, catching white perch and catfish from the Mayo Bridge or biking to the heart of Downtown Richmond, it’s easy to see why Outside Magazine named Richmond the best river town ever for the outdoors. In Richmond, art is everywhere! Richmond’s industrial past provides a unique canvas for some of Virginia’s most promising artists and musicians.